Some minutes ago I received a PDF-file by e-mail, for the bookable events for the XIX. Festival del Habano 2017. The festival takes place from February 27. until March 3., 2017, in Habana, Cuba. After a huge jump for the price, for the Gala Dinner in 2016, against 2015, the price for 2017 remains quite the same as for 2016. This is especialy interesting because some rumors said the raised price in 2016 is in conjunction with the 50 year anniversary for the brand Cohiba. It looks like this was not the main reason. The prices for all events got much higher over the years. Vor ein paar Minten habe ich eine PDF-Datei via E-Mail, zu den Events und Buchungen, zum XIX. Festival del Habano 2017 erhalten. Das Festival findet vom 27. Februar bis 3. März 2017, in Havanna, Kuba, statt. Nach einem grossen Preissprung für das Gala Dinner 2016, gegenüber 2015, bleibt der Preis für 2017 in etwa gleich wie im 2016. Das ist speziell interessant weil einige Gerüchte besagten, dass der gestiegene Preis im Zusammenhang dem 50-Jahr Jubiläum der Marke Cohiba zusammenhängt. Es sieht danach aus, dass dies nicht der Hauptgrund war. Alle Preise aller Veranstaltungen sind über die Jahre stark gestiegen. Yacqui and me were really reduced through the flu, but missing THE EVENT of the whole XVIII Festival del Habano was really no option. The bus picked us at 7:00 p.m. at the Hotel Nacional. As a welcome everybody got a glass of champagne. After passing the entrance each of us got a heavy bag with some goodies. The first cigar we got was a Cohiba Medio Siglo. This should be released this year. We smoked a lot, met old friends, but had to leave early, because we had to move at 3:30 a.m. to the airport for our flight to Santiago de Cuba. 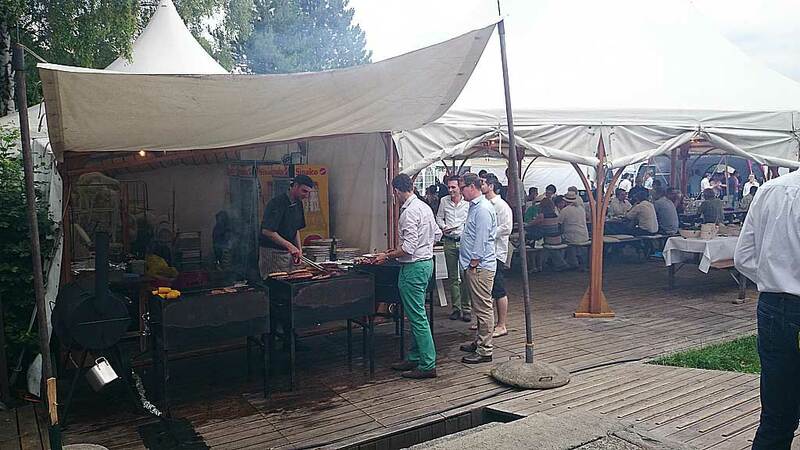 Yacqui und ich waren von der Grippe wirklich reduziert, aber DEN EVENT des ganzen XVIII Festival del Habano zu verpassen war wirklich keine Option. Der Bus holte uns 19:00 vom Hotel Nacional ab. Zur Begrüssung bekamen alle ein Glas Chmpagner. Nachdem wir den Eingang passiert hatten bekam jeder von uns eine schwere Tasche mit einigen Goodies. Die erste Zigarre, die wir bekamen, war eine Cohiba Medio Siglo. Diese sollte im Laufe des Jahres herausgegeben werden. 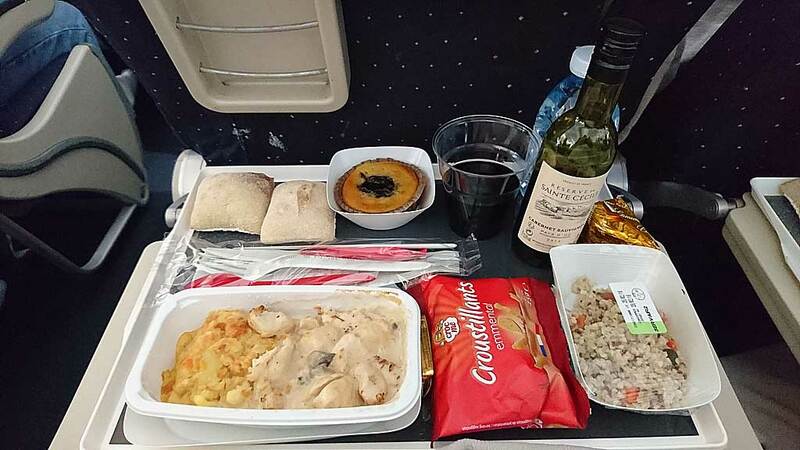 Wir rauchten eine Menge, trafen alte Freunde, aber mussten früh gehen, da wir um 3:30, für unseren Flug nach Santiago de Cuba, am Flughafen sein mussten. Yacqui and me in front of the 50 years Cohiba sign. 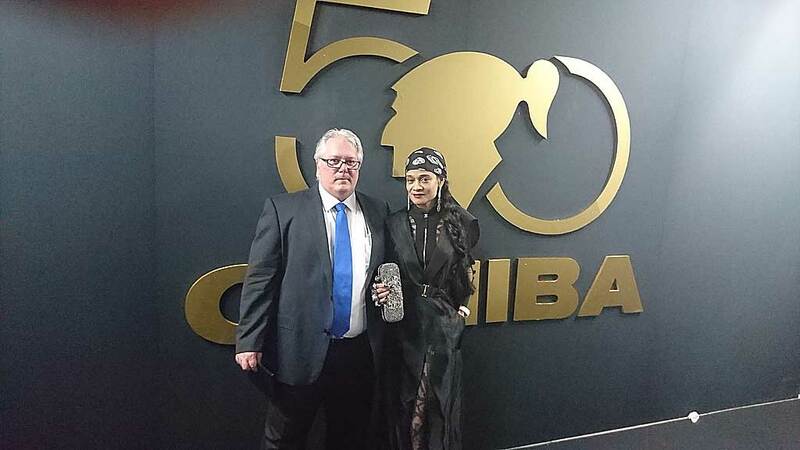 Yacqui und ich vor dem 50 Jahre Cohiba Logo.
. As usual, many guests at the Gala Dinner. Good cigars, good food and good music. Wie üblich eine Menge Gäste am Gala Dinner. Gute Zigarren, gutes Essen und gute Musik. Yacqui with her ‘hot’ nice dress from La Perla. Yacqui mit ihrem hübschen ‘heissen’ Kleid von La Perla. Tuesday, March 1: Starting at 7 A.M. we had an excursion to Pinar del Rio. First we visited the plantation of Alejandro Perez Cabrera. Yacqui got an personal invitation from him, when she stays next time in Cuba. He offered her to learn how to rol cigars within two weeks. The second visit was in two factories, one for the fermentation of the tobacco-leafs and the other for preparing them. From there we moved to Viñales. In front of the Mural de la Prehistoria we got something to drink and to eat. After the lunch we drove back to Havana. Wednesday, March 2: Yacqui and I had a flu! We had fever, hurting joints and catarrh. With this we droped the opening of the convention and the visit of the ‘Noche de los Torcedores’. Thursday, March 3: During the day was planned to visit different cigarfactories. Unfortunately the flu has knocked us out and crossed our plans. During the day we searched for medicine and were the most time in or outside of the hotel, in the smokers lounge. There I met Francis Davis who owns a cigar shop in London. 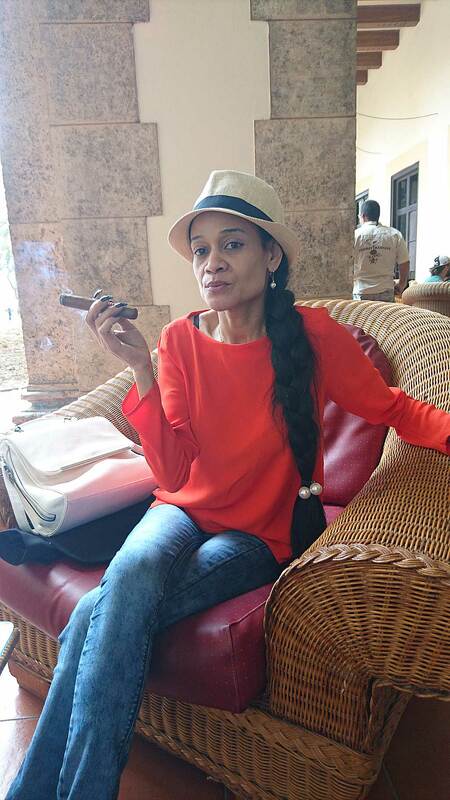 The only cigar related action outside was to visit the Casa del Habano in the Hotel Melia Habana. 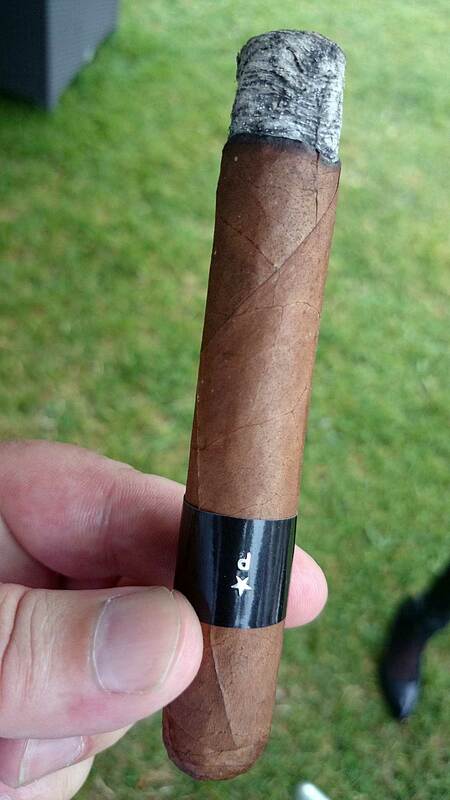 I tried to smoke cigars, but the flavour was significantly reduced because of the katarrh. 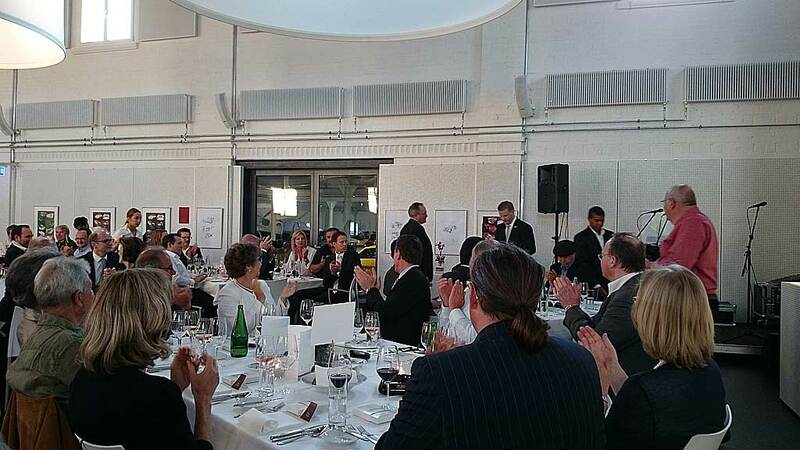 In the evening we visited the Cena Cubana, a special event from Intertabak and 5th Avenue, the official importers of Habanos for the German talking area in Europe. As the Cena Cubana had limited seats and the most peolple had to stay we decided to leave the event and to relax in the hotel. Dienstag 1. März: 7:00 Uhr starteten wir zu einer Exkursion nach Pinar del Rio. 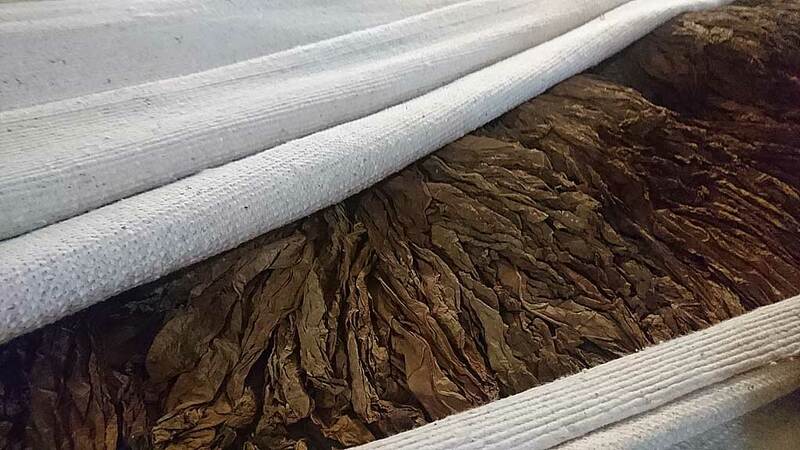 Zuerst besuchten wir die Tabakplantage von Alejandro Perez Cabrera. Yacqui bekam eine persönliche Einladung von ihm, wenn sie nächste Mal in Cuba ist. Er offerierte ihr in zwei Wochen Zigarren rollen zu lernen. Der zweite Besuch galt zwei Tabakfabriken. Die eine war für die Fermentation von Tabak, die andere für die Vorbereitung der Blätter. Danach verschoben wir uns nach Viñales. Vor dem Mural de la Prehistoria bekamen wir etwas zu essen und zu trinken. Nach dem Lunch fuhren wir zurück nach Havanna. Mittwoch 2. März: Yacqui und ich hatten eine Grippe! Wir hatten Fieber, schmerzende Gelenke, und Schnupfen. Damit liessen wir die Eröffnung der Fachmesse und die ‘Noche de los Torcedores’ fallen. Donnerstag 3. März: Während des Tages war geplant diverse Zigarrenfabriken zu besuchen. Unglücklicherweise hat uns die Grippe niedergestreckt und durchkreuzte unsere Pläne. Den Tag durch suchten wir Medizin und waren die meiste Zeit im und ausserhalb des Hotels in der Smokers Lounge. 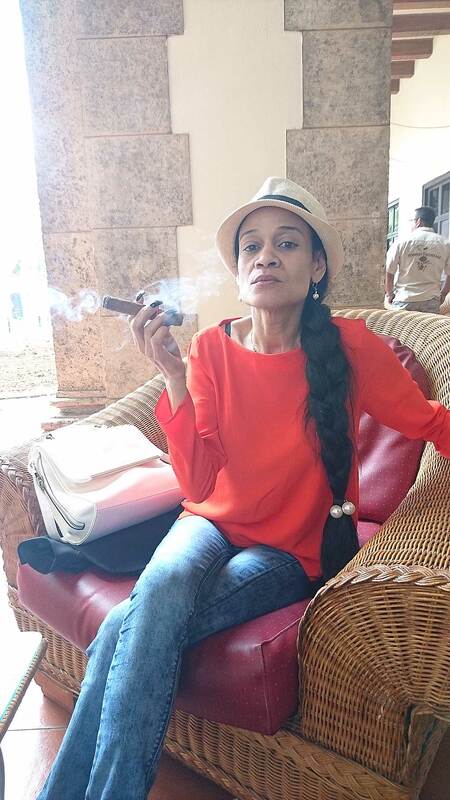 Die einzige Aktion ausserhalb war der Besuch der Casa Habano im Hotel Melia Habana. Ich versuchte Zigarren zu rauchen, doch der Geschmack war, dank des Schnupfens, signifikant reduziert. 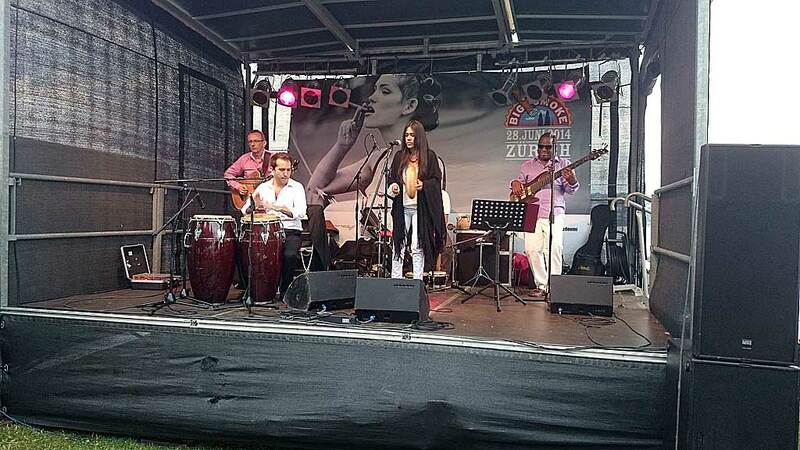 Am Abend besuchten wir die Cena Cubana, eine spezielle Veranstaltung von Intertabak und der 5th Avenue, den offiziellen Importeuren für den deutschsprachigen Raum in Europa. Weil die Cena Cubana limitierte Sitzplätze hatte und die meisten Leute stehen mussten haben wir uns entschlossen den Anlass zu verlassen und im Hotel etwas zu entspannen. Der Raum um Tabak reifen zu lassen. Do you see something? This picture was taken in the fermentation chamber for tobacco. Inside this chamber a sauna climate exists, 34 degrees celsius and 85% RHD. This is for speeding up the fermentation of tobacco. As we entered the room my glasses and the camera fogged immediately. It was really hard to be in this room. I was happy to leave it as soon as possible. Siehst du irgend etwas? Dieses Bild wurde in der Tabak-Fermentationskammer gemacht. In dieser Kammer herrscht ein Sauna-Klima von 34 Grad Celsius und 85% RLF. Dies ist um die Fermentation des Tabaks zu beschleunigen. Als wir den Raum betraten beschlugen meine Brillengläser und das Kamera-Objektiv sofort. Es war wirklich hart sich in diesem Raum aufzuhalten. Ich war glücklich ihn so bald als möglich zu verlassen. 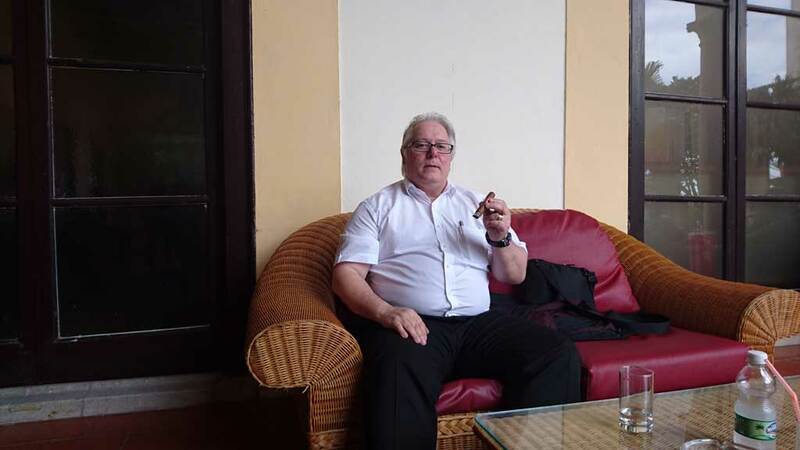 I met Francis Davis, the owner of Sautter Cigars London in London, in the Hotel Nacional de Cuba. He is well known in the cigar-scene with his YouTube channel sauttercigars, who I love very much. 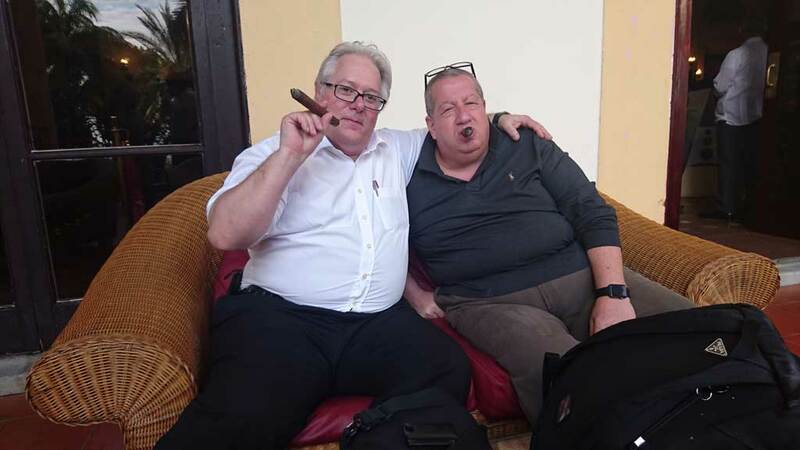 Ich traf Francis Davis, der Besitzer von Sautter Cigars in London, im Hotel Nacional de Cuba. Er ist der Besitzer von Sautter Cigars in London. Er ist sehr bekannt in der Zigarren-Szene mit seinem YouTube channel sauttercigars, welchen ich sehr mag.
. Yacqui preparing for the Cena Cuabana. Yacqui bereitet sich für die Cena Cuaba vor. Yacqui preparing for the Cena Cuabana. 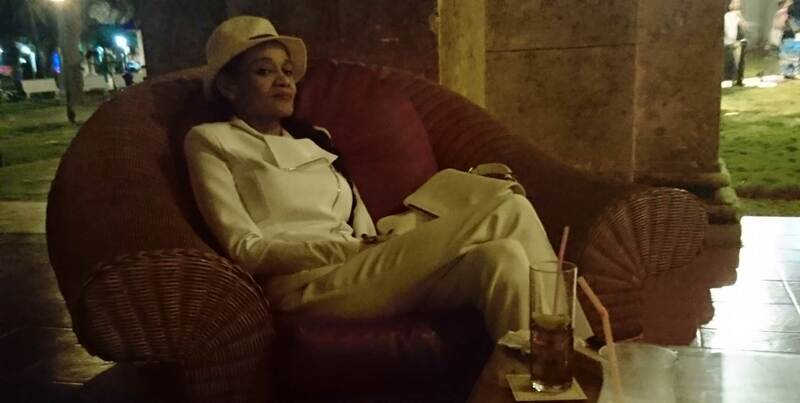 Yacqui relaxing after the Cena Cubana in the Hotel Nacional de Cuba smokers lounge. Yacqui entspannt sich nach der Cena Cubana in der Smokers Lounge des Hotel Nacional de Cuba. Sunday Feb. 28 we walked through Havana, phoned with some family members to fix dates, met William a half-brother of Yacqui. Monday Feb. 29 we got our badges for the exhibition and the invitations for the different events of the festival. 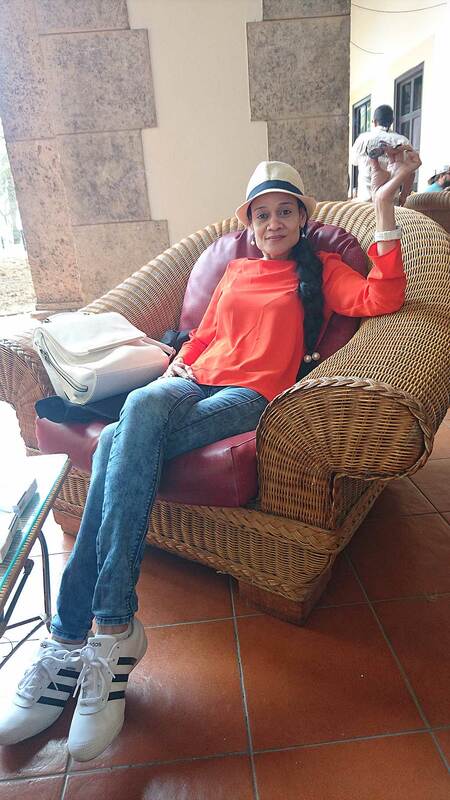 After we had checked the material, we relaxed in the smokers lounge of the Hotel Nacional de Cuba. Between the smokes we walked a little bit around in the park of the hotel. 7 p.m. a bus picked us up, to bring us to the opening of the XVIII Festival del Habano. Sonntag 28. Feb. spazierten wir durch Havanna, telefonierten mit Familienmitgliedern um Daten zu fixieren, trafen William, einen Halbbruder von Yacqui. Montag, 29. Feb. bekamen wir unsere Badges für die Ausstellung und die Einladungen für die verschiedenen Veranstaltungen des Festivals. 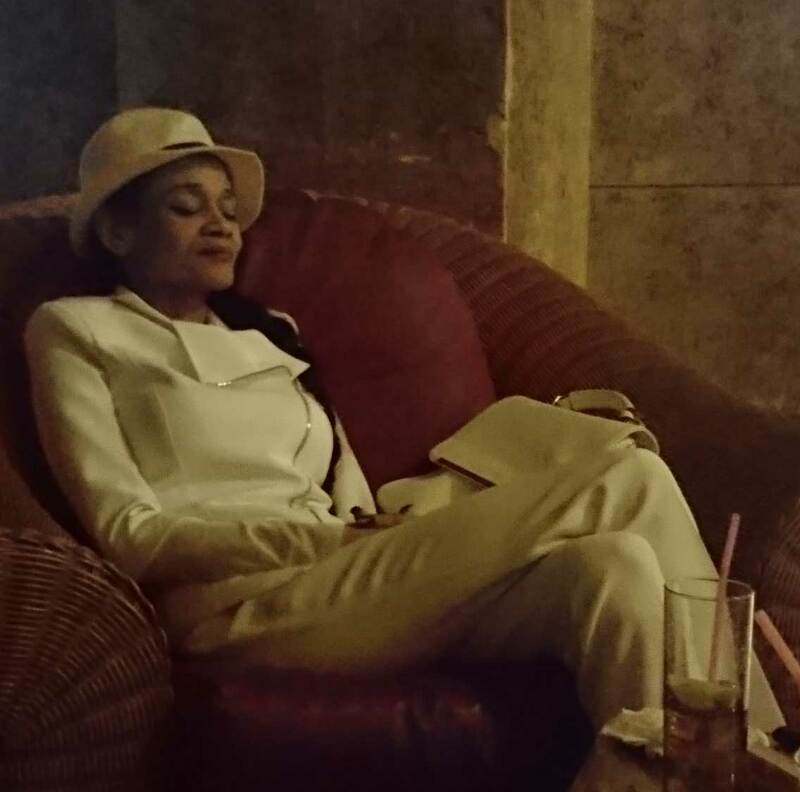 Nachdem wir das Material kontrolliert hatten, entspannten wir uns ein klein wenig in der Smokers-Lounge des Hotel Nacional de Cuba. Zwischen den Smokes liefen wir ein bisschen im Park des Hotels herum. 19:00 holte uns ein Bus ab, um uns an die Eröffnung des XVIII Festival del Habano zu bringen. Yacqui relaxing in the hotel Nacional with a Partagas D4 from the year 2000. Yacqui entspannt sich im Hotel Nacional de Cuba mit einer Partagas D4 aus dem Jahr 2000. 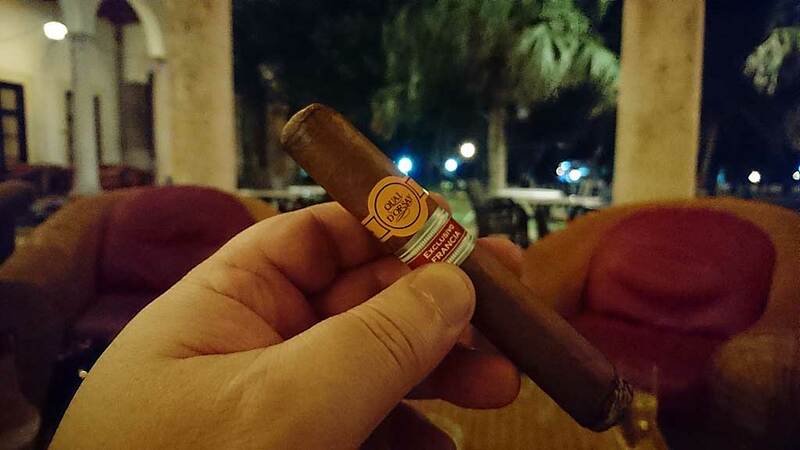 Me relaxing in the hotel Nacional with a Partagas D4 from the year 2000. Ich beim entspannen im Hotel Nacional de Cuba, mit einer Partagas D4 aus dem Jahr 2000. 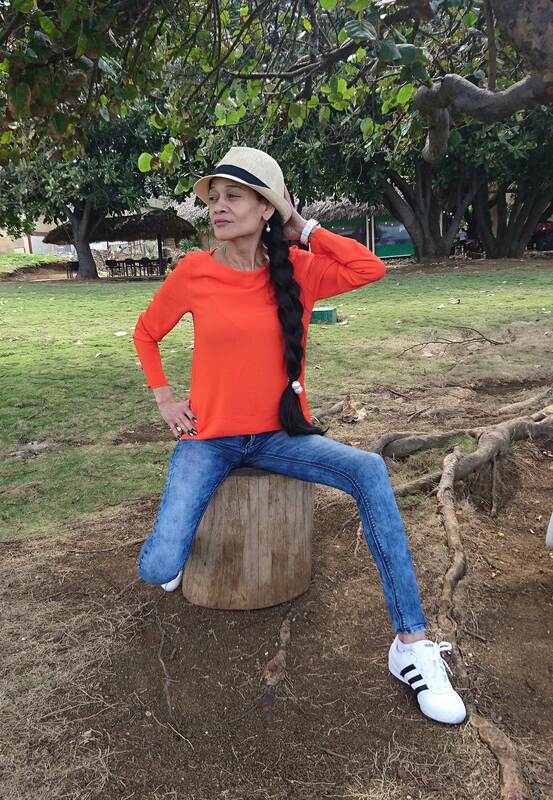 Yacqui posing in the park of the hotel Nacional de Cuba. 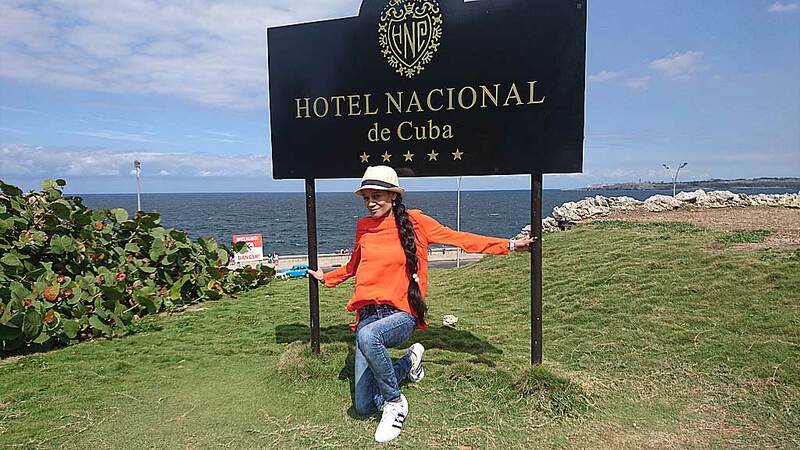 Yacqui posiert im Park des Hotel Nacional de Cuba. Yacqui in the park of the hotel Nacional de Cuba, sitting on top of a huge cannon. Yacqui im Park des Hotel Nacional de Cuba, auf einer grossen Kanone sitzend. 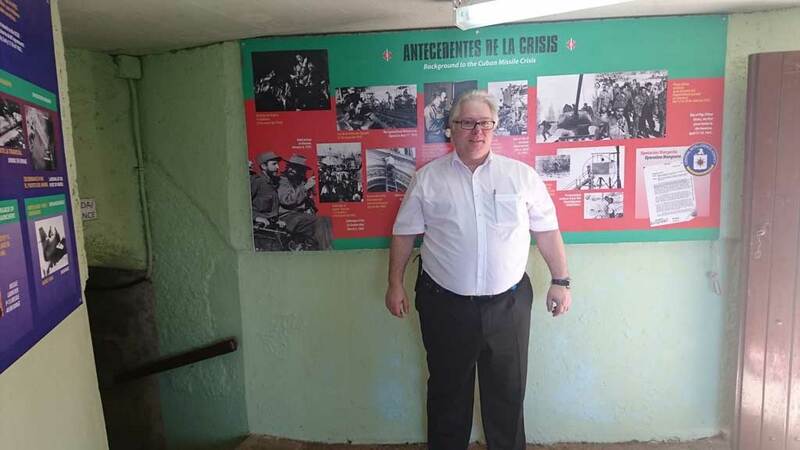 Me in an acient bunker of the hotel Nacional de Cuba, in front of the documented history of the Cuba crisis. 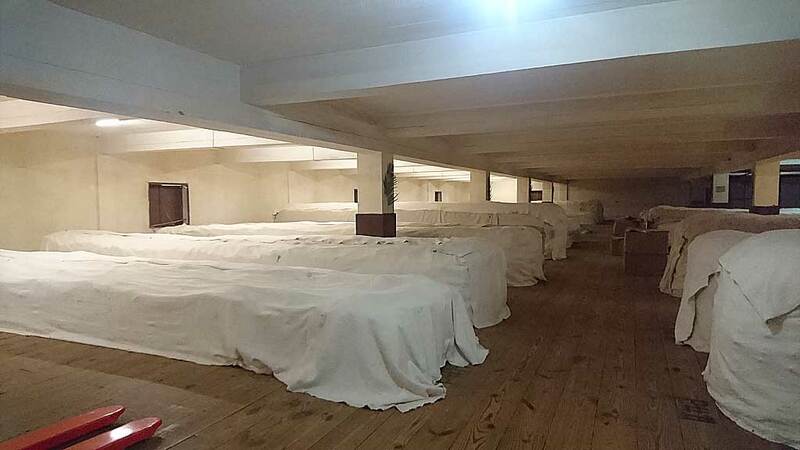 Ich in einem alten Bunker des Hotel Nacional de Cuba, vor der dokumentierten Geschichte der Kuba-Krise mit den Vereinigten Staaten. 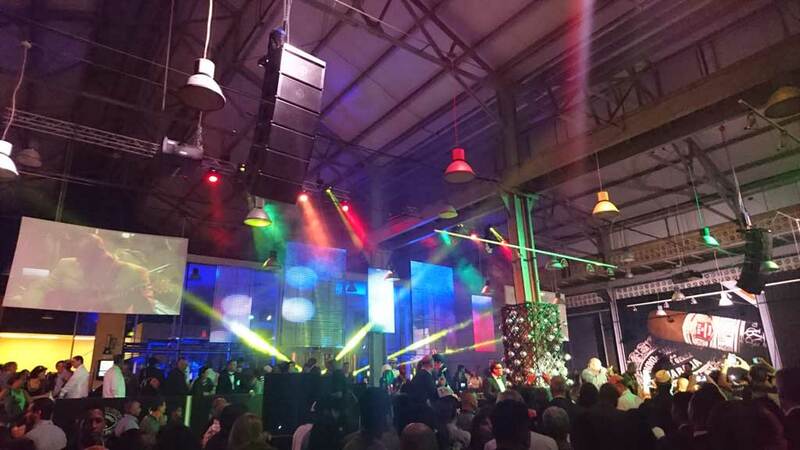 .O pening of the XVIII Festival del Habano. I danced with Yacqui the whole night, until my legs got soft. Eröffnung des XVIII Festival del Habano. Ich tanzte mit Yacqui die ganze Nacht, bis meine Beine weich wurden. After 14 hours, since we started from Zurich Airport, we were lucky to be in the Nacional Hotel. We got an Executive Room. As soon as possible I booked an Internet-WiFi-connection. As I expected, it was expensive, slow, unreliable and with blocked ports. Very difficult for me to maintain my datacenter in Zurich and work with my blog. Our focus moved very fast to food and smoking. First we decided to go into one of the restaurants in the hotel. The people there recognized us from the last years visit and had a warm welcome for us. Nach 14 Stunden, seit wir vom Flughafen Zürich starteten, waren wir glücklich im Hotel Nacional zu sein. Wir bekamen ein Executive Zimmer. So schnell als möglich buchte ich eine WiFi Internetverbindung. Wie ich erwartet hatte, sie war teuer, langsam, unzuverlässig und hatte blockierte Ports. Sehr schwierig für mich um mein Datacenter in Zürich zu warten und mit meinem Blog zu arbeiten. Unser Fokus bewegte sich sehr schnell aufs Essen und etwas zu rauchen. Zuerst entschieden wir uns, in eines der Restaurants des Hotels zu gehen. Die Leute dort kannten uns noch vom letzten Jahr und bereiteten uns einen herzlichen Empfang. First we had to eat something. We ordered a champagne from Veuve Clicquot and a Langosta Nacional. 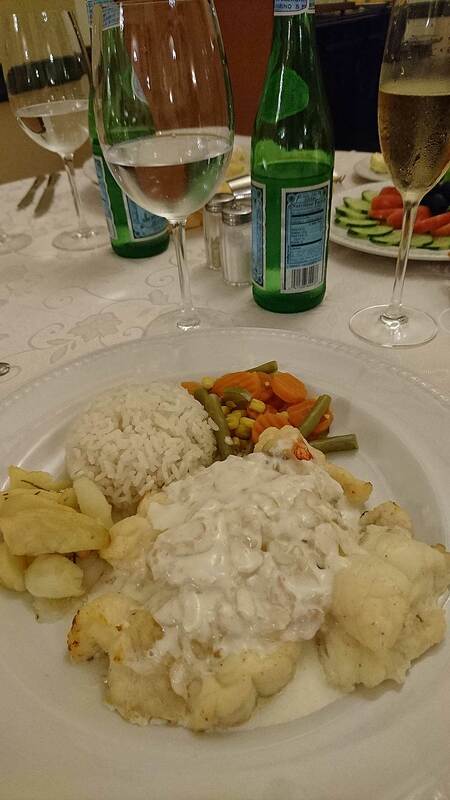 The Langosta Nacional is one of my favourite dish there. 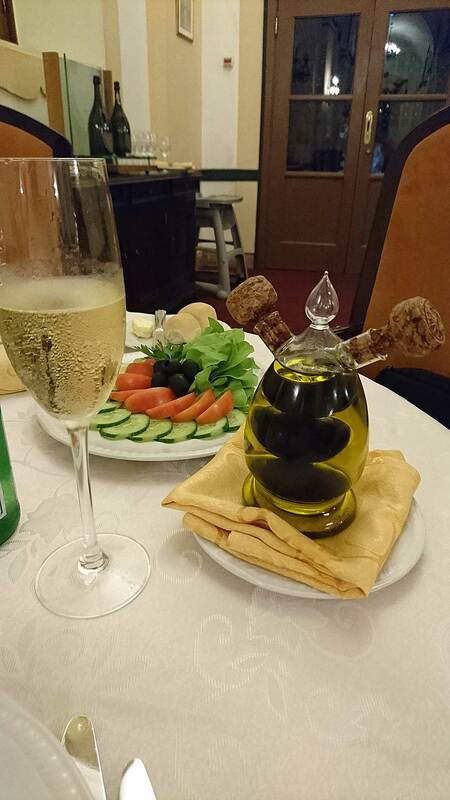 We finished the dinner very fast and taked the bottle with us, to the smokers lobby outside the hotel. Zuerst mussten wir etwas essen. Wir bestellten einen Champagner von Veuve Clicquot und eine Langosta Nacional. Die Langosta Nacional ist eine meiner Lieblingsspeisen dort. Wir beendeten das Essen sehr schnell und nahmen die Champagnerflasche mit uns, in die Raucher-Lobby, ausserhalb des Hotels. My first cigar, in Havana, was a Quai d’Orsay – Robusto Diplomático – Edición Regional Francia. I bought it during our stopover at the airport Paris CDG. This is the only good thing for a non direct flight, the possibility to buy additional special cigar releases. Meine erste Zigarre, in Havanna, war eine Quai d’Orsay – Robusto Diplomático – Edición Regional Francia. 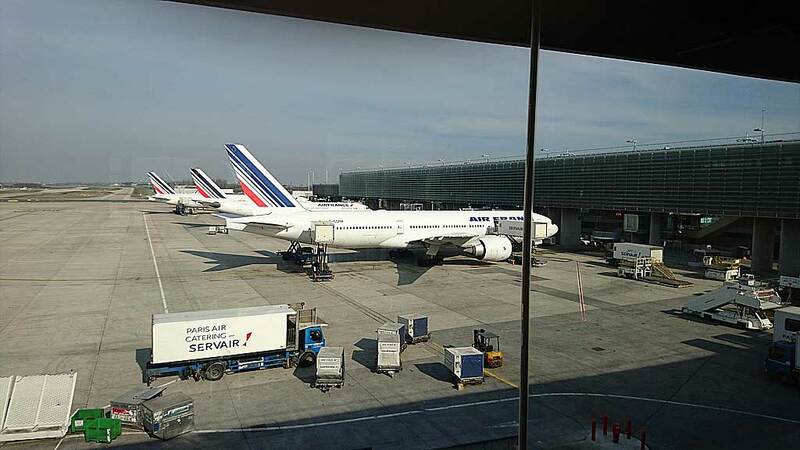 Ich kaufte sie bei unserem Zwischenstopp im Flughafen Paris CDG. Das ist das einzig gute an einem Flug der nicht direkt ist, die Möglichkeit zusätzliche spezielle Zigarrenausgaben zu kaufen. 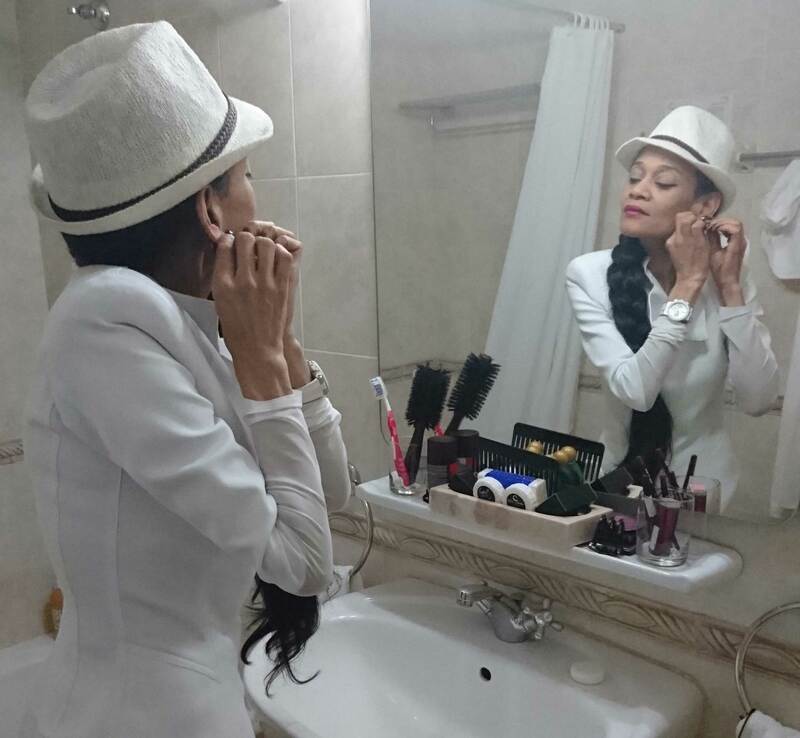 At the 26th of February, me and my wife traveled to Cuba, to participate at the XVIII Festival del Habano and vistiting her family in Santiago de Cuba. We had a flight from Zurich Airport, over Paris CDG, to Havana. Am 26. 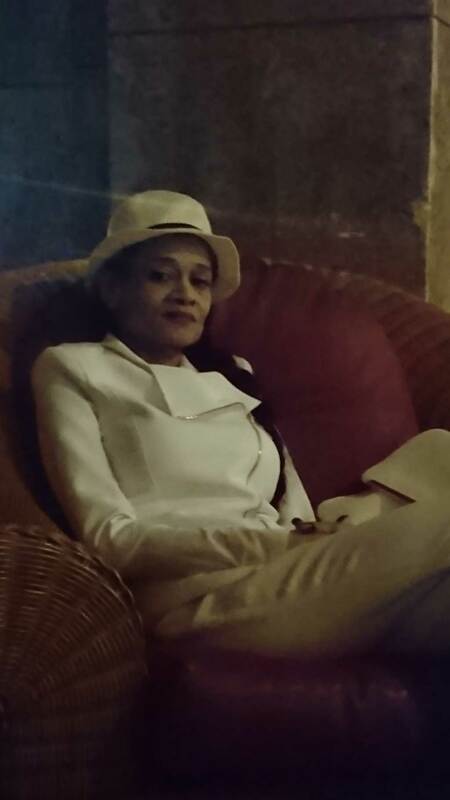 Februar sind ich und meine Frau nach Kuba gereist um am XVIII Festival del Habano teilzunehmen und ihre Familie in Santiago de Cuba zu besuchen. Wir hatten einen Flug vom Flughafen Zürich, über Paris, nach Havanna. 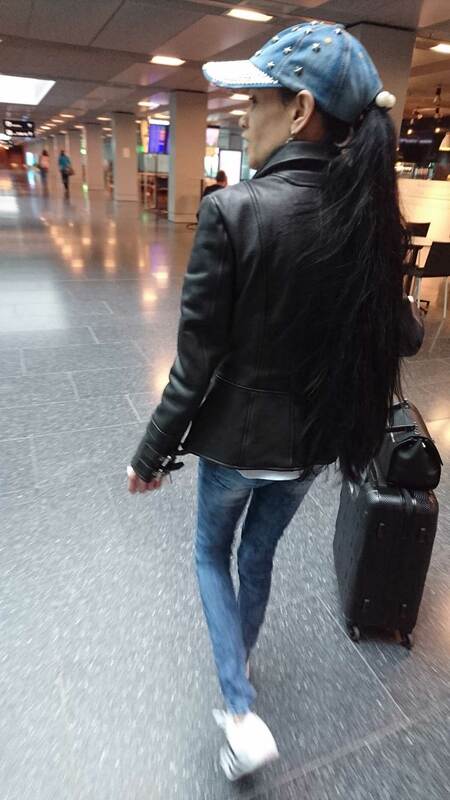 Yacqui at the Airport Zurich, after the Check In. At this time we don’t realized, the suitcase for the cabin is containing a surprise, who will give us a short break at the security controls. 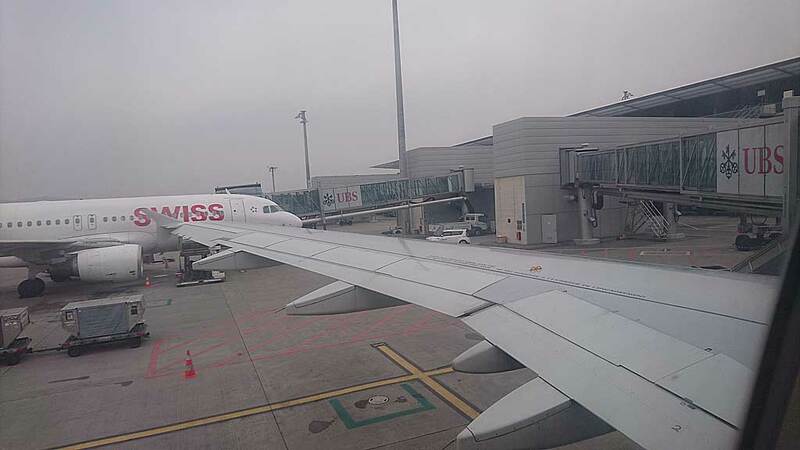 Yacqui am Flughafen Zürich, nach dem Check In. Zu dieser Zeit realisierten wir noch nicht, dass sich im Board-Gepäck eine kleine Überraschung enthielt, welche uns einen kleinen Aufenthalt bei der Sicherheitskontrolle bescheren würde. 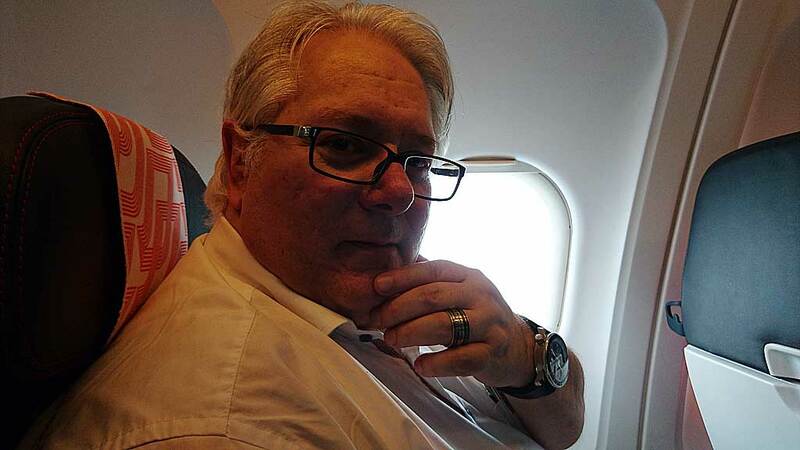 Yacqui goes to the security control – Vamos! Yacqui geht zur Sicherheitskontrolle – Vamos! At the airport security control the officers were not amused with the item above, found in the suitcase of my wife. Accidentally we interchanged our suitcases. After it passed the x-ray scanner a few officers surrounded me and one said: Open it please! 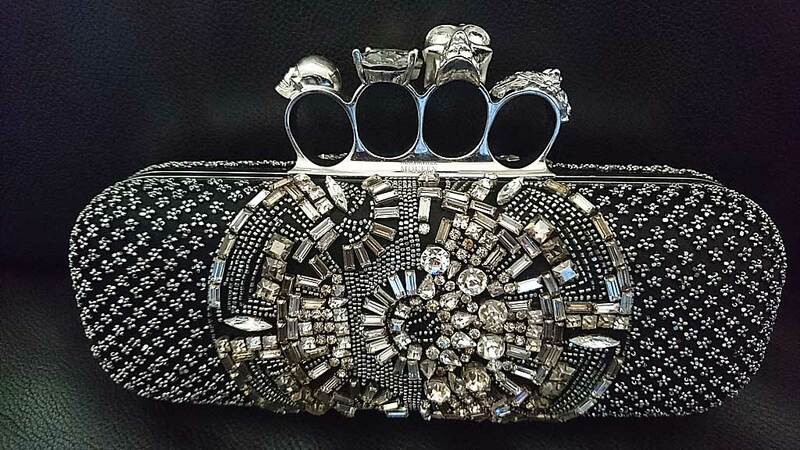 As they found a clutch from Alexander McQueen, with something like brass nuckles on it, a wild discussion started. They don’t know, is it more a weapon or is it more a clutch. As they don’t came to a decission, they searched for the Chief Security Officer at the airport. After a short while he appeared. A short discussion followed with his security forces. At the end he said it’s a gray area, they can decide in both directions, but for him it’s more a fancy article. With his words we were able to pass the security controls. Puh… saved a lot of money at the begining of the voyage. Am Kontrollpunkt waren die Sicherheitskräfte nicht sehr amüsiert mit dem Gegenstand im Bild oben, den sie im Koffer meiner Frau fanden. Unglücklicherweise hatten wir unsere Koffer vertauscht. Nachdem er den Röntgen-Scanner passiert hatte, kreisten mich ein paar Sicherheitskäfte ein und einer sagte: Bitte öffnen! Als sie eine Etui-Tasche von Alexander McQueen, mit etwas wie einem Schlagring darauf gefunden hatten, startete eine wilde Diskussion. Sie wussten nicht, ist es mehr eine Waffe oder mehr eine Tasche. Als sie zu keiner Entscheidung kamen suchten sie den Sicherheitschef des Flughafens. Nach einer kurzen Weile erschien er. Eine kurze Diskussion folgte mit seinen Sicherheitskräften. Am Ende sagte er: Es ist ein Graubereich, sie könnten sich in beide Richtungen entscheiden, aber für ihn ist es mehr ein Modeartikel. Mit seinen Worten konnten wir durch die Sicherheitskontrolle. Puh.. am Anfang der Reise eine Menge Geld gespart. After boarding, a view to the airport Zurich. Nach dem Boarding, ein Blick auf den Flughafen Zürich.
. Yacqui before we started with the flight. Yacqui before we started with the flight. Unser Flugzeug von Paris nach Havanna. 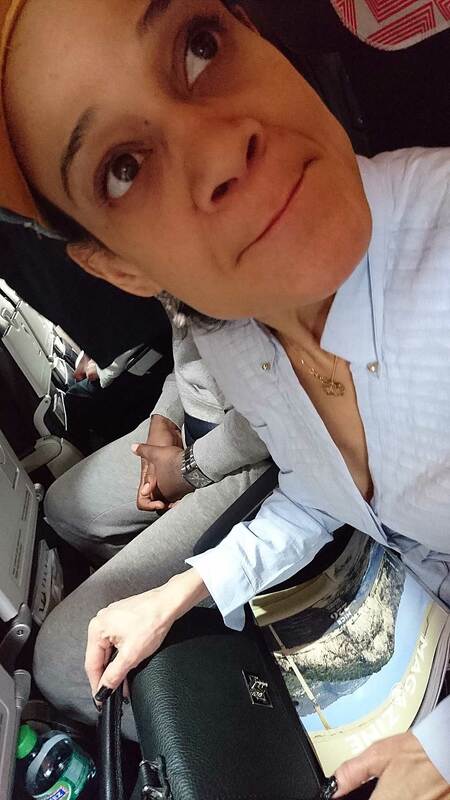 After a 10 hrs flight we landed safe at the Havana airport José Marti. From there we moved to the Nacional Hotel. Nach einem Flug von 10 Stunden landeten wir sicher in Havanna am Flughafen José Marti. Von dort gingen wir ins Hotel Nacional. I got an e-mail today, regarding the XVIII. 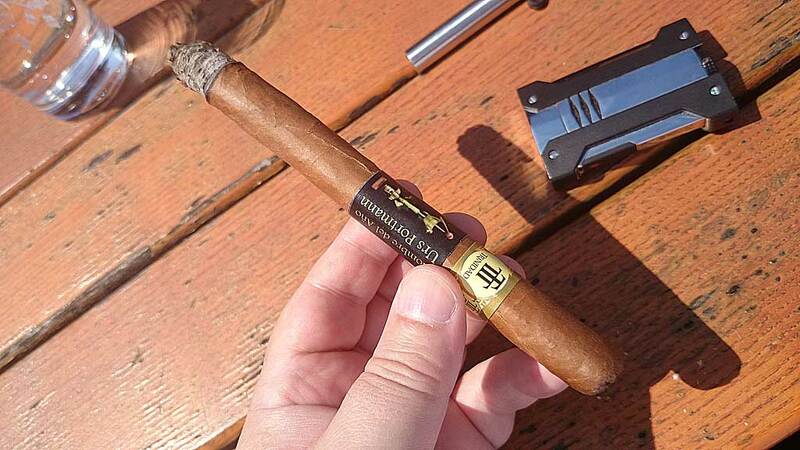 festival del Habano, from Intertabak. The fetival program has been released now and the registration is open. Here is the PDF (in German), who was sent with the mail. Depending on the event, the costs are significantly higher as in the year before. As example the well known Gala-Diner, at the end of the festival, is priced with CHF 735.–. In 2015 the price was CHF 485.–. This is a huge difference of + CHF 250.– or over +50%! I habe heute ein E-Mail von Intertabak, das XVIII. festival del Habano betreffend, bekommen. Das Festival-Programm wurde veröffentlicht und die Registration ist offen. Hier ist das PDF (in Deutsch), welches mit dem Mail versendet wurde. Abhängig vom Anlass sind die Kosten signifikant höher wie im Jahr zuvor. Das bekannte Gala-Dinner, welches zum Abschluss stattfindet, hat dieses Jahr einen Preis von CHF 735.–. Im Jahr 2015 kostete dies CHF 485.–. Dies ist eine grosse Differenz von plus CHF 250.–, oder über + 50%! At June 20, I went with my girlfriend, Yacqui, to Urs Portman’s tabac-shop. Amir Saarony, the famous Canadian author of a the very genius book, ‘Partagas – The Book / Partagas El Libro’ was there. I bought his book some times ago, and this was the chance to meet the author live, let him sign the book and change some words with him. It was a really relaxing and enjoyable event. Urs served us fine cigars, as usual. Amir signed me four books, two for me, one for Yacqui and one, as birthday-present, for my best friend marc. We talked a lot about cigars, why he has made this book and what his next project will be. Very interesting was the discussion, about the new book from Min Ron NEE, the aspect of ‘elite books’ and how much a book should cost. Heiko Blumentritt a good friend of Amir was also there. Heiko is a well known cigar blogger and I was many times at his blog and enjoyed the interesting informations he shares with the community. 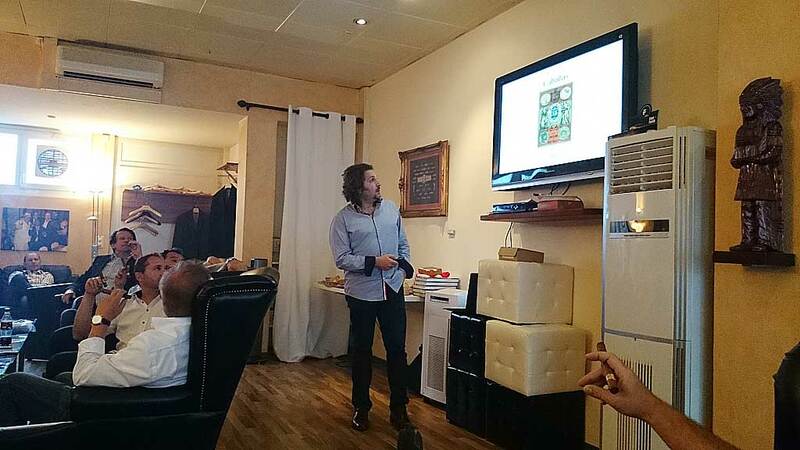 At the end we changed to Urs’ cigar-longe, where a small buffet and Amir’s short and interesting presentation about the Partagas-History, he had in front of an audience, taked place. It was very enjoyable and I’m very interested in the next book Amir will release – as an aficionado and writer – for aficionados. Am 20. Juni ging ich mit meiner Freundin Yacqui zu Urs Portmann’s Tabak-Geschäft. 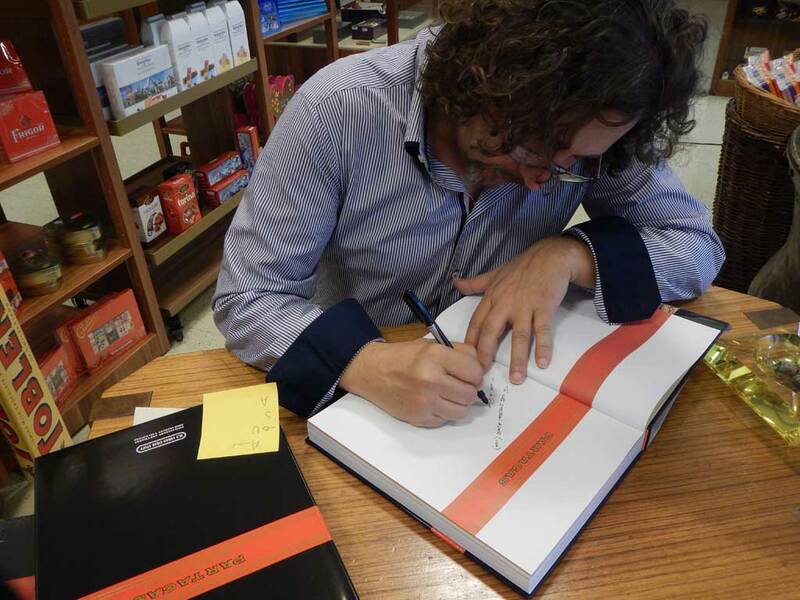 Amir Saarony, der bekannte Author des Buches ‘Partagas – The Book / Partagas – El Libro’, war dort zu Besuch. Ich kaufte das Buch vor einiger Zeit und dies war die Gelegenheit ihn zu treffen, das Buch signieren zu lassen und sich mit ihm auszutauschen. Es war ein entspannter Anlass zum geniessen. Urs versorgte uns mit feinen Zigarren, wie immer. Amir hat mir vier Bücher signiert, zwei für mich, eines für Yacqui und eines, als Geburtstags-Geschenk, für meinen besten Freund Marc. Wir sprachen viel über Zigarren, warum er ein Buch machte und was sein und was sein nächstes Projekt sein wird. Sehr interessant war die Diskussion über das neue Buch von Min Ron NEE, über den Aspekt von Büchern für eine Elite und wie viel ein Buch kosten sollte. Nebst Amir war ein guter Freund von ihm, Heiko Blumentritt, anwesend. Heiko ist ein bekannter Zigarren-Blogger, auf dessen Blog ich viele male seine Informationen, die er mit der Community teilt, genossen habe. Am Ende wechselten wir in die Smokers-Lounge von Urs, wo es ein kleines Buffet und eine kurze, interessante Präsentation von Amir, über die Partagas-Geschichte gab. Es war ein sehr genüsslicher Anlass und ich bin sehr gespannt auf das nächste Buch von Amir – von einem Aficionado und Schriftsteller – für Aficionados. The weekend of June 28, me and my girlfriend, visited the Big Smoke 2014. 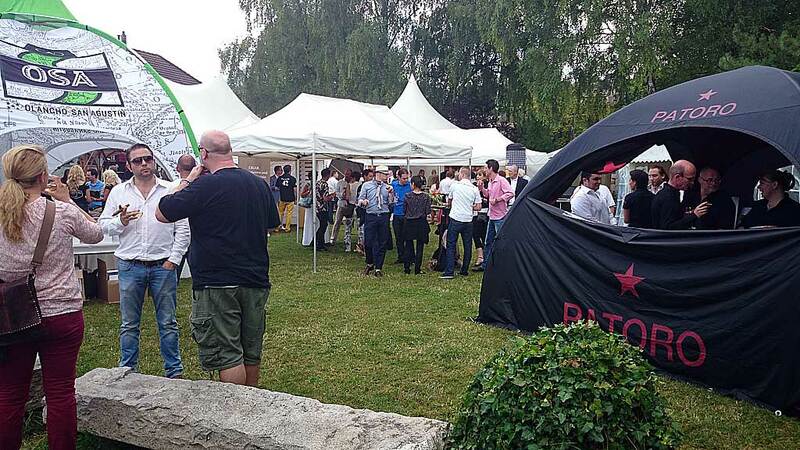 This is a huge smokers event in Switzerland, in the ‘Fischer’s Fritz‘, at the lake Zurich. This is a good opportunity to meet old and find new friends, to enjoy an evening in the sign of smoke. The location for such an event is really perfect. You can choose to talk with old or new friends, or take a walk beside the lake, if you prefer the sound of silence. All was well organized. At the entrance we got three coins for cigars, three cards for drinks, and one card for jetons to play at the mobile casino from Grand Casino Baden. Food and wine was free, as much as we liked. The different cigar- and spirit-brands had each a booth. For cigars the representatives from Brun del Ré, Camacho, Intertabak (Cohiba, Montecristo, Partagas), OSA, Patoro were there. With the coins or cards we were able to chose the stuff we liked most. 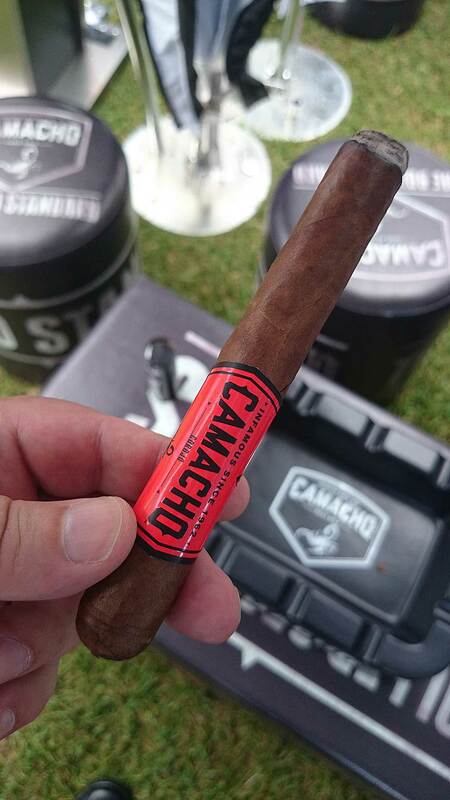 As I smoke cuban cigars the most times, I was interested to try Camacho, OSA and Patoro. At the end I had one of my own carried cigars, a Montecristo 520, EDL 2012. The preferred beverages were wine and Mojito. For entertainment a band played music in caribbean style and in the mobile casino we could play Roulette or with cards. I tried Roulette and won ten times my first stake. But there was no money when I exchanged the coins. I got only a chaep bottle of Mövenpick Champagne. The weather at the beginning of the event was good, but at the end it was a strong, stormy rain with a lot of water. The event was very nice and I will go again, if it happens next year. Das Wochenende vom 28. Juni besuchten ich und meine Freundin, den Big Smoke 2014. Dies ist ein grosser Raucher-Anlass, im ‘Fischer’s Fritz‘, beim Zürichsee. Dies ist eine gute Gelegenheit alte und neue Freunde zu finden und den Abend im Zeichen des Rauches zu geniessen. Der Veranstaltungsort für solch einen Event ist wirklich perfekt. 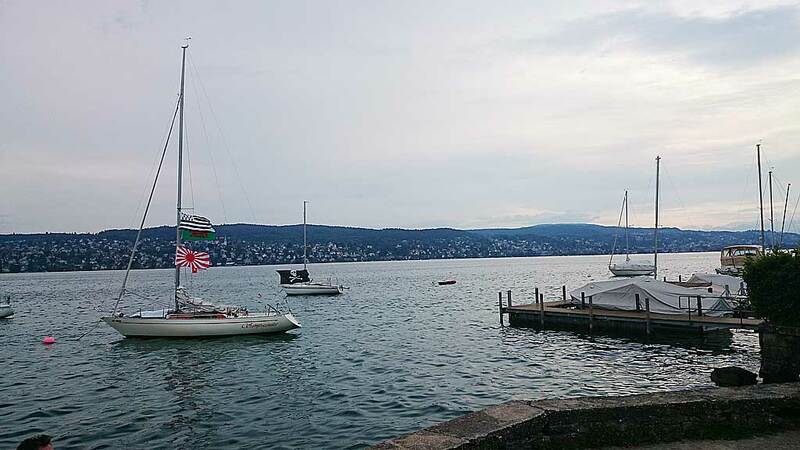 Man kann sich entscheiden mit alten und neuen Freunden zu schwatzen, oder wenn bevorzugt einen Spaziergang entlang des Zürichsee’s zu wählen, um die Stille zu geniessen. Alles war sehr gut organisiert. Am Eingang bekam man drei Coins für Zigarren, drei Kärtchen für Drinks und eine Karte für Jetons, um im mobilen Casino, vom Grand Casino Baden zu spielen. Das Essen und die Weine waren kostenlos und man konnte soviel konsumieren wie man wollte. Die anwesenden Distributoren der Zigarren und Spirituosen-Marken hatten je einen Stand. Für die Zigarren waren Repräsentatnen für Brun del Ré, Camacho, Intertabak (Cohiba, Montecristo, Partagas), OSA, Patoro anwesend. Die Coins oder Karten konnten gegen die bevorzugetn Genussmittel eingetauscht werden. Da ich fast immer nur Kubanische Zigarren rauche, war ich interessiert mal Camacho, OSA und Patoro zu probieren. Am Ende rauchte ich meine eigenen, mitgebrachten Zigarren, Montecristo 520, EDL 2012. Die bevorzugten Getränke waren Wein und Mojito. Für die Unterhaltung sorgte eine Band mit karibischer Musik und das mobile Casino, in dem man mit Karten und Roulette spielen konnte. Ich versuchte mich in Roulette und gewann das zehnfache meines Einsatzes. Leider gab es dafür kein geld, sondern nur eine günstige Flasche Mövenpick-Champagner. Das Wetter war anfangs der veranstaltung gut, doch am Ende des Events suchte uns stürmischer Regen heim. Es goss kurzzeitig wie aus Kübeln. Der Event war sehr gelungen und ich werde diesen nächstes Jahr, falls er stattfindet, wieder besuchen. The OSA and Patoro booth. Der OSA und Patoro Stand.
. 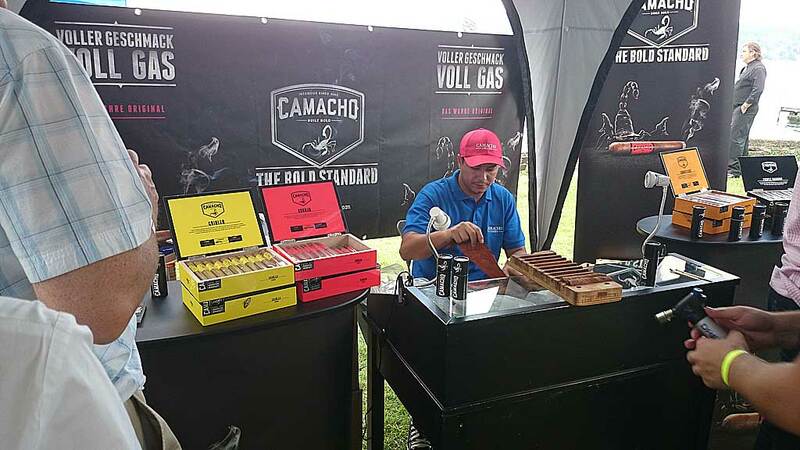 The Camacho booth with a cigar roller. 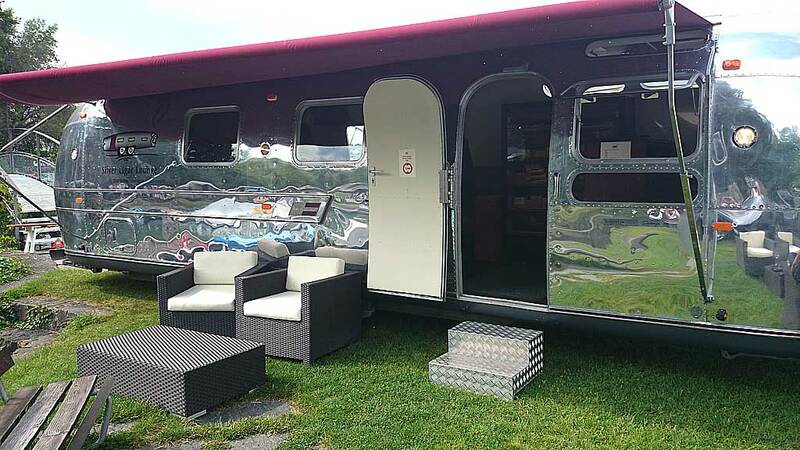 Der Camacho Stand mit einem Zigarren-Roller.
. A mobile cigar lounge.
. My first Camacho. They said it’s the strongest in the line. The production-quality was very good, but the taste was a little bit to linear and boring for me. The extravagantly marketing style was much more better as this cigar. Meine erste Camacho. Sie sagten mir, es sei die stärkste der Linie. Die Verarbeitungs-Qualität war sehr gut, doch der Geschmack war etwas zu linear und langweilig für mich. Das extravagante / aufwändige Marketing war viel besser wie diese Zigarre.
. 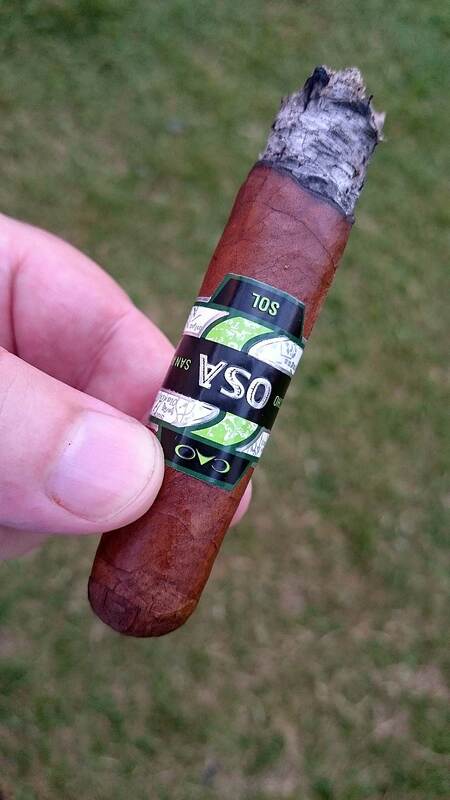 The OSA was a nice light and sweet smoke. Die OSA war ein leichter, süsser Smoke.
. The Patoro was my favourite of the three tasted cigares. It had a fine sweetnes and some complexity in flavours. Die Patoro war mein Favorit der drei probierten Zigarren. Sie hatte eine feine Süsse und etwas Komplexität in den Aromen.
. The barbecue station – eat as much as you like. Die Grill-Station – iss soviel du magst.
. The Band Corazón Latino with caribbean rythms. Die Band Corazón Latino mit karibischen Rythmen. 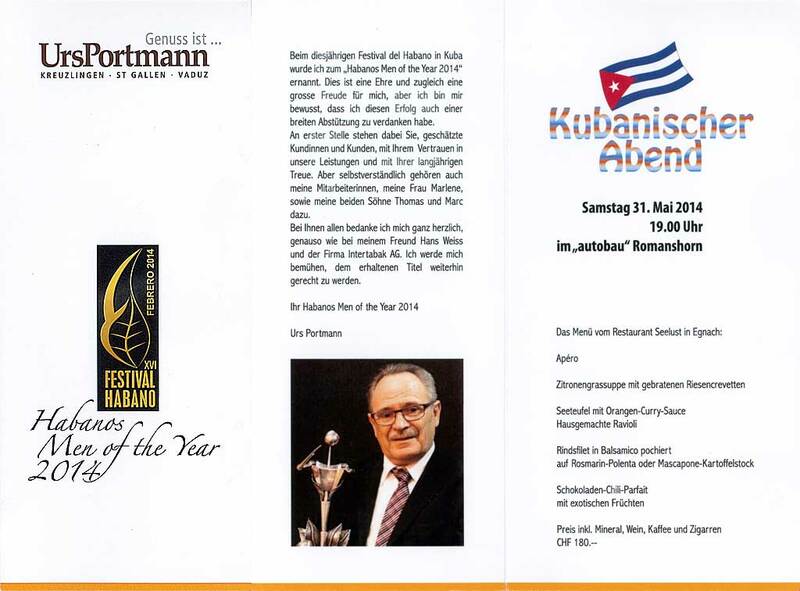 The last weekend was a Cuban Evening, organized by Urs Portmann in the “autobau” in Romanshorn. Das letzte Wochenende fand der Kubanische Abend, organisiert von Urs Portmann im “autobau”, in Romanshorn, statt. 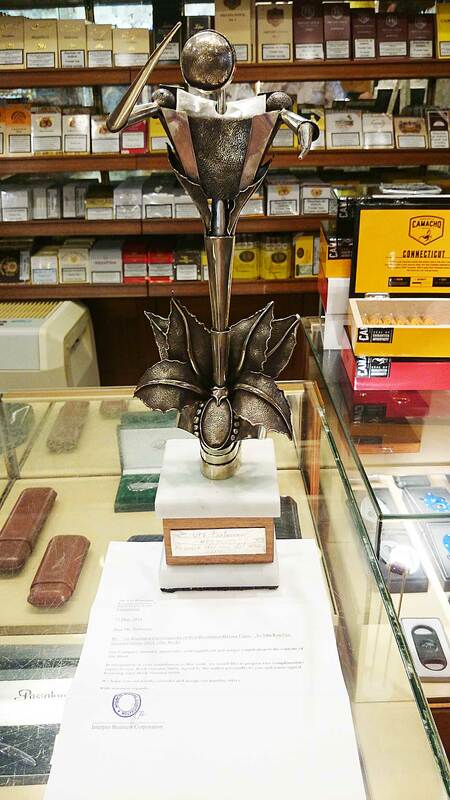 Before the event started, me and my girlfriend visited Urs Portmann’s cigarshop in Kreuzlingen. There I met, for the first time, the well known aficionado Nino Munoz. He has one of the best cigar blogs, flyingcigar, of the world. I’ve started with a Cohiba Siglo I from Nino. The next one was a Cohiba Lancero. At the end Nino gave me a Partagas Lusitanias Gran Reserva with a special Nino Munoz band. Nino is a real aficionado, with an immense knowledge about cigars and an unbeatable network into the world of cigars. He is also a very good discussion partner, who has experienced a lot, was it at his travels, as a purser of Lufthansa, or as a frequent traveller in the case of cigars. Ich fand mich vor dem Anlass, mit meiner Freundin, in Urs Portmanns Zigarrengeschäft in Kreuzlingen, ein. Dort traf ich zum ersten mal Nino Munoz, den weltbekannten Aficionado. Er betreibt mit Flyingcigar eines der besten Blogs weltweit. Gestartet habe ich mit einer Cohiba Siglo I, die er mir gegeben hat. Danach genoss ich eine hervorragende Cohiba Lancero von ihm. Zu guter letzt hat er mir eine Partagas Lusitanias Gran Reserva mit einer speziellen Nino Munoz Anilla überlassen. Nino ist ein wirklicher Zigarren-Geniesser mit grosser Fachkenntnis und einem unschlagbaren Netzwerk in die Zigarrenwelt. 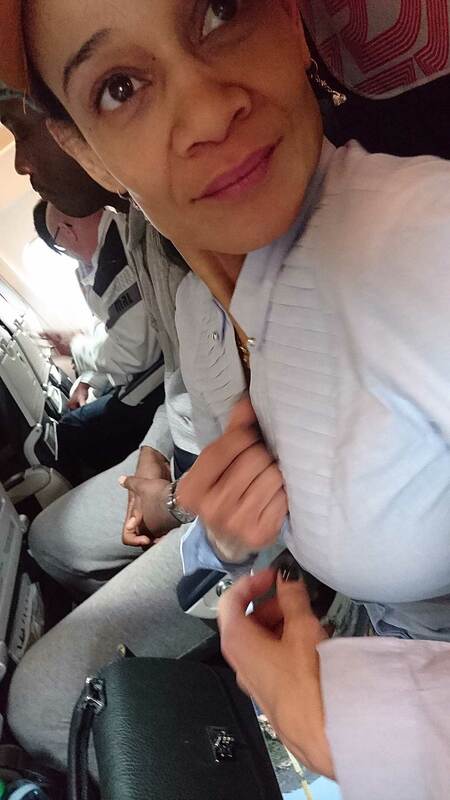 Zudem ist er ein hervorragender Gesprächspartner, der schon sehr viel erlebt hat, sei es auf seinen Reisen, als Purser bei Lufthansa und als vielgereister in Sachen Zigarren. I could not leave without buying some boxes of good cigars. I bought five boxes of Partagas Connaisseur No. 3, boxdate POS MAR07, two cabinets of 50 Romeo y Julieta Exhibition No. 4, bd’s PEI NOV01 & XLB NOV05 and a box of Partagas Lusitanias Gran Reservea Cosecha 2007, bd ULA DIC13. Of course my girlfriend got also a gift. A lighter from Davidoff and an ashtray from Bulgari / Rosenthal which I loved to had for myself. In the early evening Urs drove us in our hotel Park Hotel Inseli, in Romanshorn. We had booked a room with a balcony and a nice view at the lake constance. I smoked a La Aurora Preferridos Saphire 1903 Edition, which I had from my last trip through America. After smoking an refreshing we moved with a cab to the event. 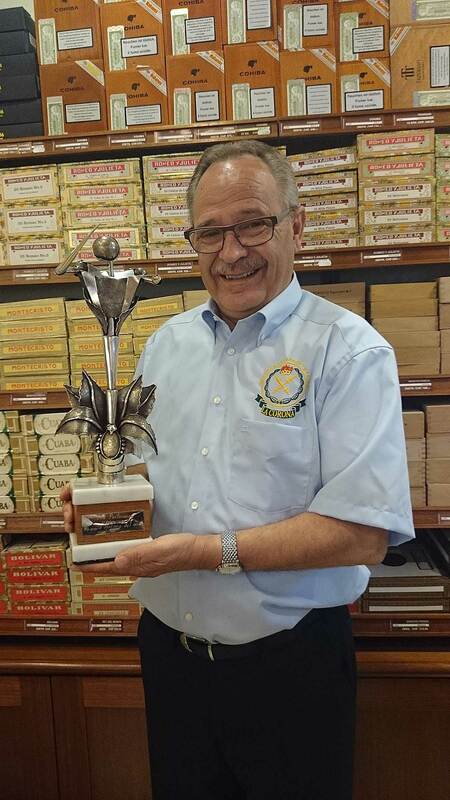 The evening was under the sign of the celebration for his award ‘Habanos Man of the Year 2014’ and of Urs Portmann’s merits for the cuban cigars. 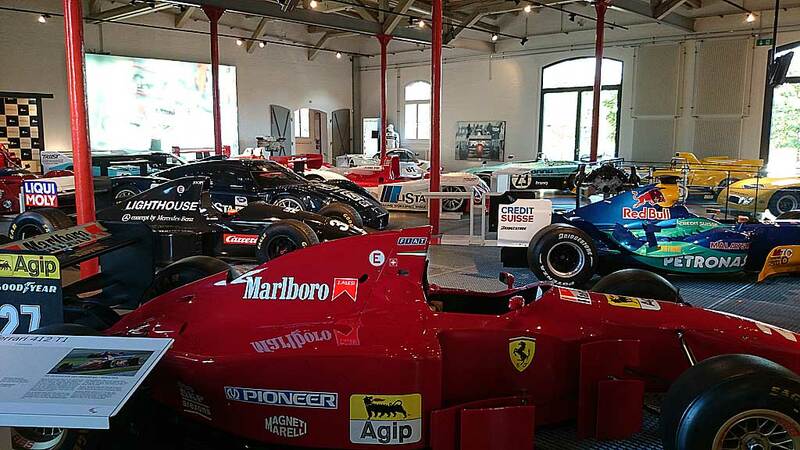 The event was at a special location, who housed a huge car collection of Fredy Lienhard. 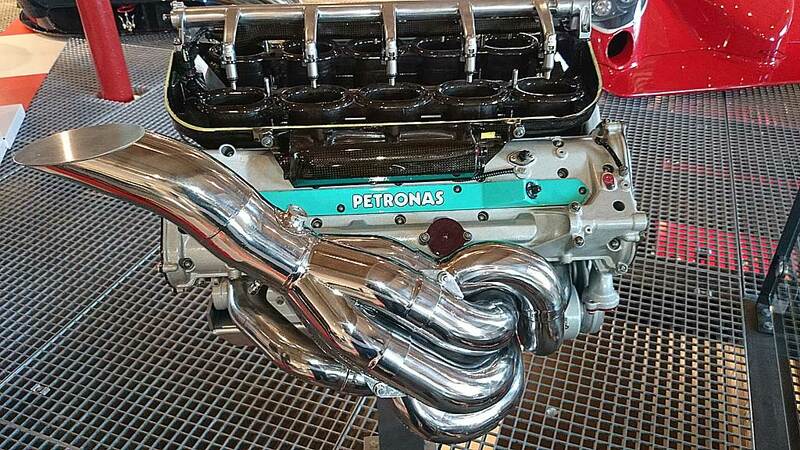 For all lovers of fast and beautyful cars, this is the right place to be. Ich konnte den Ort natürlich nicht verlassen ohne ein paar Kistchen Zigarren zu kaufen. Ich kaufte fünf Kistchen Partagas Connaisseur No. 3, Boxdate POS MAR07, zwei 50er Cabinets Romeo y Julieta Exhibition No. 4, BD’s PEI NOV01 & XLB NOV05 und eine Kiste Partagas Lusitanias Gran Reservea Cosecha 2007, BD ULA DIC13. Natürlich gab es auch ein Geschenk für meine Freundin, ein Davidoff Feuerzeug und einen Bulgari / Rosenthal Aschenbecher den ich am liebsten für mich selbst genommen hätte. Am frühen Abend fuhr Urs, mich und meine Freundin, in’s Park Hotel Inseli, in Romanshorn. Wir hatten ein Zimmer mit Balkon und Seesicht gebucht. Ich rauchte dort eine La Aurora Preferridos Saphire 1903 Edition, die ich von meiner letzten Amerikareise mitgebracht hatte. Nach dem Zigarrengenuss und einer kurzen Erfrischung sind wir mit dem Taxi zu der Veranstaltung gefahren. Gefeiert wurde an diesem Abend, im Zeichen seiner Auszeichnung ‘Habanos Men of the Year 2014’, Urs Portmann und seine Verdienste für die kubanischen Zigarren. Der Event fand an einem speziellen Ort, der eine wunderschöne Autosammlung von Fredy Lienhard beherbergt, statt. Wer schnelle und schöne Autos liebt kommt hier voll auf seine Kosten. 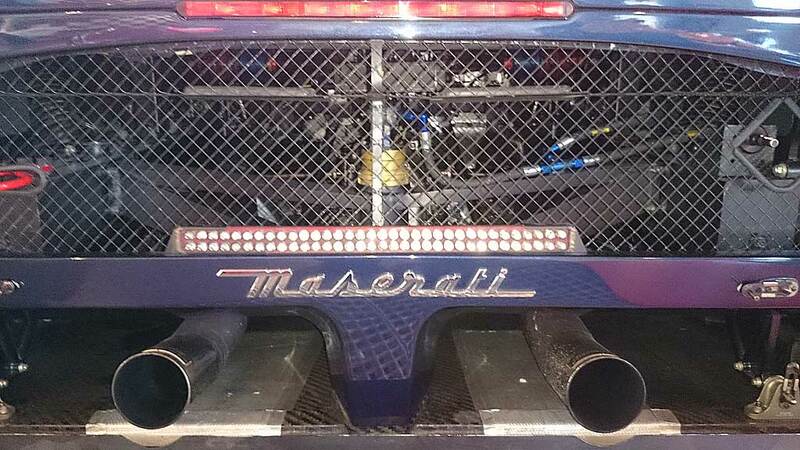 Maserati exhaust, can you imagine the sound? Maserati Auspuffanlage, kannst du dir den Sound vorstellen? As expected, there were a lot of cigar personalities at this event. It was well organized, the dinner and the beverages were exceptional and good cigars of course the standard. We had cigars like H. Upmann Half Corona, Montecristo Edmundo, Ramon Allones Especiales ER Suiza 2011 and a Trinidad Fundadores with a special cigar band. The event was squired with music from a good cuban band. Wie zu erwarten war, fanden sich diverse prominente Persönlichkeiten, rund um das Thema Zigarren, an diesem Anlass ein. Der Event war gut organisiert, das Essen und die Getränke waren hervorragend und gute Zigarren selbstverständlich. Es gab H. Upmann Half Corona, Montecristo Edmundo, Ramon Allones Especiales ER Suiza 2011 und eine Trinidad Fundadores mit spezieller Bauchbinde zur Feier. Der ganze Rahmen wurde mit guter Musik einer kubanischen Band begleitet. The celebration had many emotional moments. Thomas Portman, Urs’ son, guided us through the evenening. One thing was clear very fast, the Portmann family is a family with very strong bond. The lifework of Urs Portmann is abolutely tremendous. 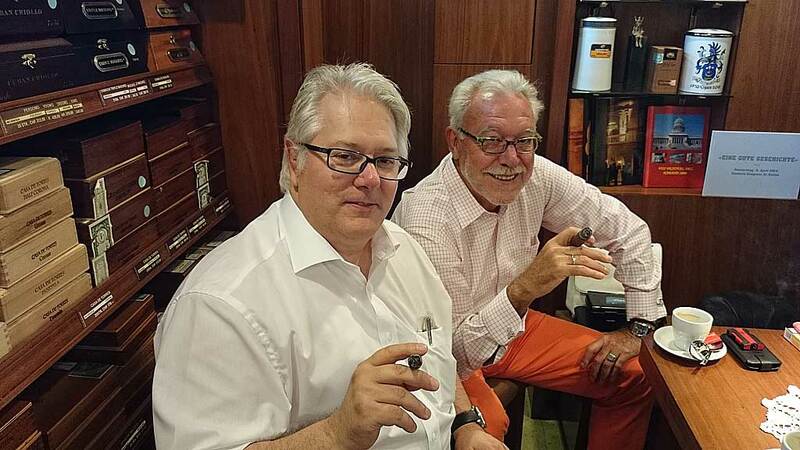 What he has built in over 40 years, what he has done for the Swiss cigar culture is absolutely exceptional. Bravo Urs! Urs got many compliments and some gifts. The absolutely surprise came from Nino. Through his exceptional contact to Min Ron Nee, aka Dr. Nip, Urs was endowed with two books of the new release of, “An Illustrated Encyclopedia of Post-Revolution Havana Cigars”, 2nd edition 2014. This is indeed not a normal book, it’s a collection of six huge books in a large bamboo case, with the weight of 100kg! More information about this at Nino’s blog. There are only 2000 books released worldwide. Urs got the numbers 0009 signed and 0109 unsigned. But the absolute culmination was, Dr. Nip himself phoned and congratulated him, gave his thanks for the help in finding some very rare boxes of cigars – incredible! The whole audience could follow this live, because the communication was transmitted over the microphones. Nino, this surprise was very well done and was a 100% performance! Die Feier enthielt viele schöne und emotionale Momente. Thomas Portmann, Urs’ Sohn, führte durch den Abend. Eines wurde einem schnell klar, die Familie Portmann ist eine sehr spezielle Familie, mit starken Banden. Urs Portmanns Lebenswerk ist absolut bewundernswert. Was er in über 40 Jahren aufgebaut hat, was er für die Zigarren-Kultur in der Schweiz beigetragen hat, ist schlichtweg einzigartig. Bravo Urs! Urs bekam sehr viel Lob und einige Geschenke. Die absolte Überraschung war von Nino. Dank seinem guten Kontakt zu Min Ron Nee, aka Dr. Nip, wurde Urs mit zwei Ausgaben des neuen Buches, der zweiten Ausgabe 2014 “An Illustrated Encyclopedia of Post-Revolution Havana Cigars”, beschenkt. Das ist kein normales Buch, sondern sind sechs Bücher in einem grossen Bambusgehäuse. Alles zusammen wiegt gut 100kg! Mehr Informationen darüber auf Nino’s Blog. Von dieser Enzyklopädie wird es weltweit nur 2000 Stück geben. Urs hat die Nummern 0009 signiert und 0109 unsigniert bekommen. Der Höhepunkt war zudem, Dr. Nip hat höchstpersönlich angerufen und ihm gratuliert, sowie sich für Urs’ Mithilfe, durch die Gabe von sehr seltenen Zigarren bedankt – unglaublich!. Alle Anwesenden konnten dies live mitverfolgen, da das Gespräch übertragen wurde. Nino, die Überraschung ist dir aber zu 100% gelungen! The day after we met Hans, Nino and Yannick. A little bit later Urs came to our group. 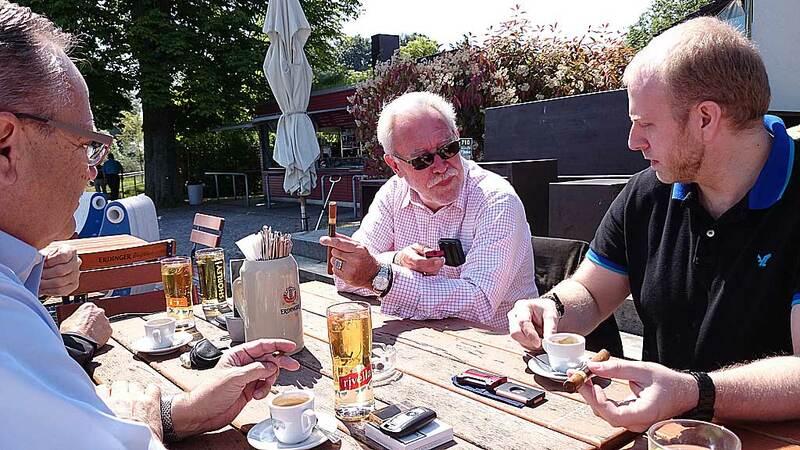 We went at the lake of constance, enjoyed cigars and had good discussions. A little bit later Urs wife came to us. After a short dinner we moved to Urs’ shop. He gave all of us a La Gloria Cubana No. 3 from 2002 and a good rum. Am folgenden Morgen haben wir uns mit Hans, Nino und Yannick getroffen. Etwas später kam Urs dazu. Wir gingen an den Bodensee und genossen Zigarren und angeregte Gespräche. Etwas später stiess Frau Portmann zu uns. Nach einem kurzen Mittagessen gingen wir in Urs Geschäft. Er gab uns allen eine La Gloria Cubana No. 3 aus dem Jahr 2002 und einen guten Rum. 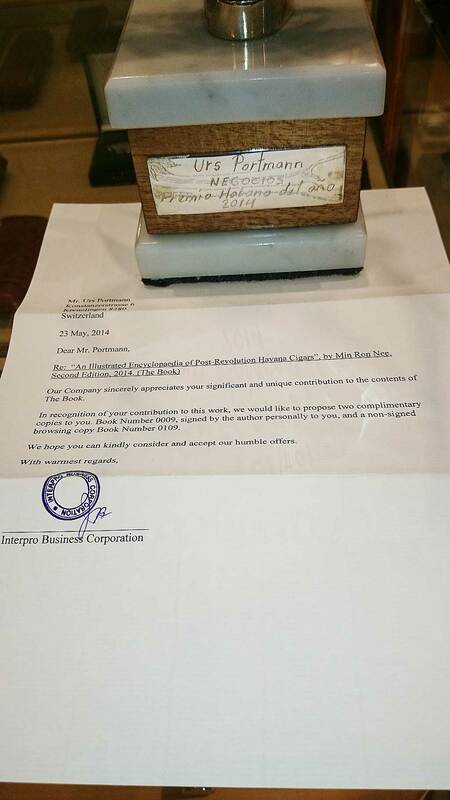 At the end we shoot some pictures of the letter from Dr. Nip and the ‘Hombre Hbanos’ award. The time passed very fast. With the memories of having two fantastic days we moved at home. Am Ende machten wir noch Aufnahmen von Dr. Nip’s Brief und dem ‘Hombre Habanos’ Pokal. Die Zeit verging wie im Fluge und mit der Erinnerung an zwei schöne Tage machten wir uns wieder auf den Heimweg.